The show, held by organisers Mack Brooks Exhibitions, is the 14th edition and will see industry professionals come together over a jam-packed three-day programme of activity with a focus on shaping the future of UK rail. 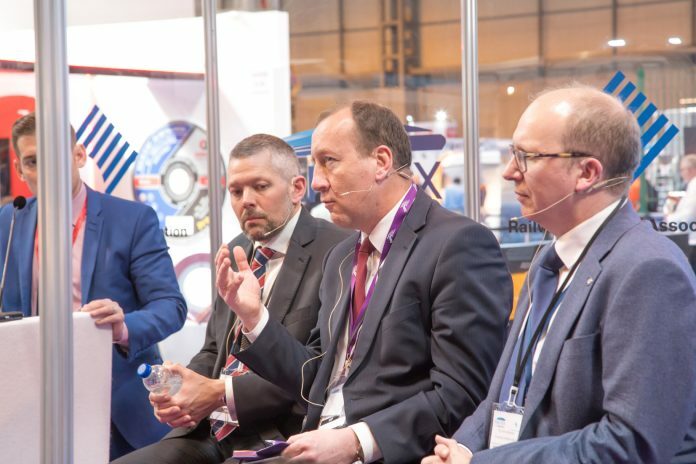 Railtex 2019 will see the introduction of three new areas to its programme, including a new High Speed Rail Hub, focusing on the aims of adding capacity and connectivity to the UK’s network. A Digital Rail Forum will also be presented as part of a new conference, enabling broad discussion on the future of this revolutionary programme. For the first time in the show’s history, the Railway Industry Association will bring its members together in a dedicated hub: an environment that will offer a platform for SMEs as well as contain the Knowledge Hub with its traditional updates, briefings and keynote addresses present at Railtex since the show first began in 1993. Railtex brings together a mix of national and international companies from across the infrastructure and rolling stock sectors. Exhibitors will appear alongside a topical CPD-certified educational support programme in the Rail Engineer hosted Seminar Theatre which will explore the major issues facing UK rail today and in the future. Organisers Mack Brooks Exhibitions say exhibitor and visitor numbers have been at their highest in 20 years, with more than 10,000 industry professionals attending the 2017 event. Demand is set to be high again, and companies are urged to book stand space early to avoid disappointment. Visit www.railtex.co.uk for further details.